Like most children of famous people, Bobbi Kristina Brown grew up in the spotlight – very often on stage and walking the red carpet with her parents Whitney Houston and Bobby Brown. 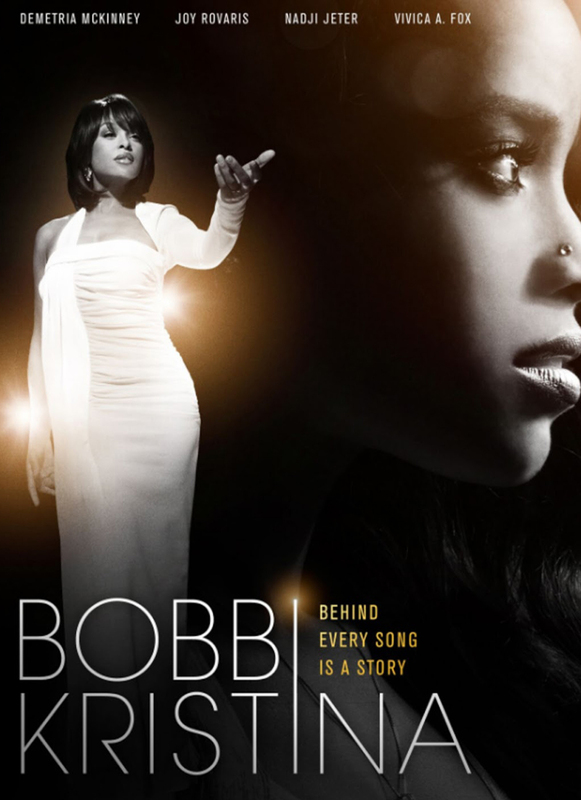 To most, she was simply ‘Whitney’s and Bobby’s daughter,’ the little girl behind the scenes with no identity beyond the image attached to her by the media and the public. But the untold story of Bobbi Kristina Brown is one of adventure, dreams, conflict, perseverance, faith, friendship, and love – a love between mother and daughter. A love often interrupted by success, emotional upheaval and drug addiction but an unshakable, incomparable, unwavering love nonetheless. Our story begins immediately after Whitney’s (played by Demetria McKinney) death and takes us into Krissi’s struggle to come to terms with her mother’s death and her own life. Even as she finds herself in an increasingly volatile relationship with Nick Gordon (played by Nadji Jeter), the young man with whom she grew up and ultimately fell in love with. Even as she endures the pain of a strained relationship with her father (played by Hassan Johnson) and aunt Patricia Houston (played by Vivica A. Fox). Even as she wages her own war with addiction and physical abuse. For the first time, Krissi will be revealed in a way the world has never seen and may never forget – through the eyes of her best friends and those who knew her well. Bobbi Kristina introduces us to the girl we thought we knew and the woman we never got to see.